If you don’t want to bake a sweet potato pie for Thanksgiving, one alternative is to try a batch of the Sweet Potato Cupcakes with Marshmallow Frosting that Tracey’s Culinary Adventures baked. The moist, sweet potato cupcakes are flavored with brown sugar, cinnamon and nutmeg. As a nod to the pie that inspired them, they sit on top of a graham cracker crust layer at the bottom of their cupcake wrappers. They’re topped with a fluffy, homemade marshmallowy meringue frosting that is bruleed as a finishing touch before serving. Pumpkin Pie Cheesecake is another pie-inspired dessert. This version comes from Lick My Spoon, combining the richness of a cheesecake with the spicy warmth of a pumpkin pie and putting them together in a gingersnap crust. The cheesecake base is easy to make. Part of it is kept plain, but pumpkin and spices are added to most of the base and poured right into the pan. The reserved plain cheesecake is swirled through the top of the pumpkin layer to give the finished dessert a very elegant look. Apple cider is flavor that many of us associate with fall, and one way to start a crisp fall day off with a dose of it is in a batch of Apple Cider Donuts from Carpe Season. These donuts get their flavor from an apple cider reduction, which concentrates the flavor. They’re fried – not baked – and rolled in cinnamon sugar before serving. They’re worth every indulgent bite, although you may want to invite a few friends over to share the donuts with you to avoid eating them all yourself! I’ve had butter tarts before, which live up to their name and deliver a mouthful of oh-so-good butter flavor in a crisp, flaky crust. Butter is usually one of the main components of such a tart, and that is why it was so surprising to see that The Misfit Baker put together a vegan version of Butter Tart Squares. The tart squares use a blend of shortening and vegan-friendly margarine in the crust and have no butter in the filling, although tofu makes a surprising appearance and helps give the filling its rich texture. And if you’re still looking for a pie to make, you can go retro with Mamie Eisenhower’s Pumpkin Chiffon Pie from Sauce and Sensibility. The pie has a light, but spicy, filling that is a little less intimidating to eat after a full Thanksgiving dinner than a traditional pie. Like many chiffon pies, the filling for this pie is cooked on the stovetop and then lightened with meringue. 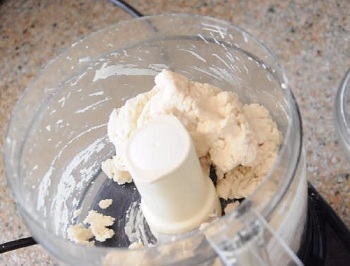 The filling is then set with gelatin and chilled before serving. You can use any kind of crust for this type of pie, but the original spicy, homemade gingersnap and walnut crust recipe is one you can’t go wrong with. How “Smart” is Your Kitchen? Thanks for the link love for our doughnuts. They really are sugar-bombs…be careful. 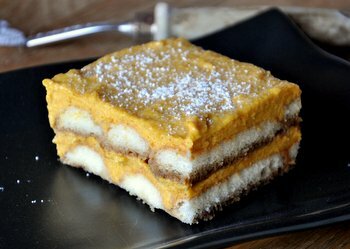 Also, wow, I want to try that pumpkin cheesecake. Thanks for sharing my pumpkin cheesecake, Nicole! Great round up here 🙂 Thanksgiving is barely over and I’m already itching to get back in the kitchen to make some of these goodies!